How Many Drain Holes Does a Flower Pot Need? Attractive pots and containers allow gardeners to grow flowers, vegetables and even shrubs and small trees on patios, decks or indoors. Without proper drainage, plants can't access oxygen and eventually rot and die. Select pots with at least one drainage hole or add one yourself. To improve drainage and plant health, look for pots with at least one drainage hole in the bottom of the pot. If the pot doesn't have a hole you may be able to drill one. Clay or ceramic pots may crack when drilled, however. If a decorative pot lacks a hole, another option to provide drainage is double potting. To double pot a plant, simply place the plant in a plastic container with adequate drainage. Then place the container inside the decorative pot. Remove the plant and container frequently, and dump any standing water out of the bottom of the decorative pot so the plant's roots don't remain wet. In addition to drainage holes, proper soil mixtures are essential for plant health. Garden soils are too heavy and may cause plants in containers to rot. They also may contain diseases or insect pests. Instead, select a high-quality potting mix that contains vermiculite, perlite, compost or peat moss. These materials are lightweight and allow for good drainage. If you choose to use garden soil or a soil mix, select a pot with at least two or three drain holes. Lightweight vermiculite based soil mixes need fewer drain holes. The construction and size of the pot also determines how many drain holes you need. Clay pots are porous and tend to draw water out of the soil. They dry out quickly and plants grown in them require frequent watering. One drainage hole is usually sufficient. Wood containers are also porous and water may drain through cracks in the wood. Glazed terracotta pots are non-porous and hold water longer. 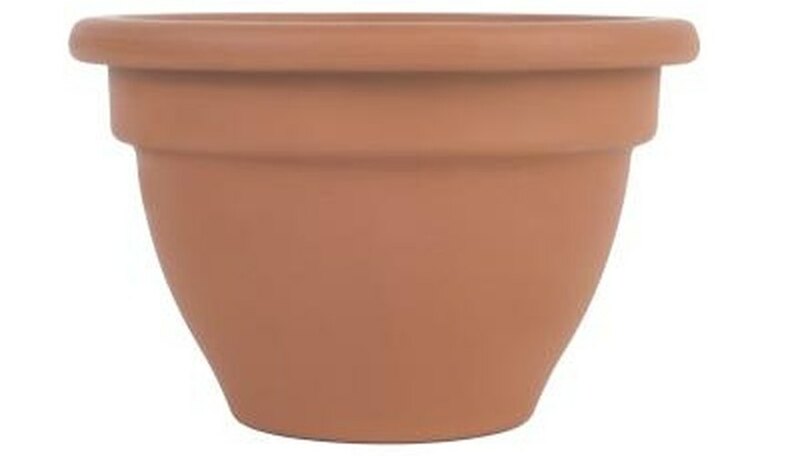 Select terracotta pots with two or three holes, especially if the pots are large. One drainage hole is adequate for pots that are12 inches or smaller. University of Illinois Extension; Drainage is Critical; Maurice Ogutu, et al. University of Illinois Extension; Using Soil and Soil Mixes; Maurice Ogutu, et al. Can Metal Buckets Be Used As Flower Pots? Is it Safe to Grow Vegetables in Galvanized Containers?